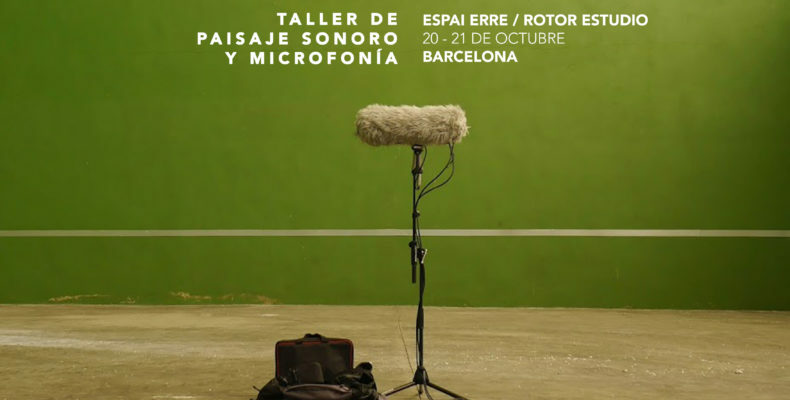 Sound Landscape Workshop: Focused on introducing the world of field recordings and the sound landscape in a broad term. Through a theoretical-practical methodology, students will receive different tools and knowledge to enter the world of capturing sound environments and their creative applications. Microphony workshop: various forms and creative uses of microphony will be explored and careful listening exercises will be carried out in order to finally offer a series of starting points on which to work the sound, the sound landscape and, ultimately, the sound listen out. At the same time, a basic electronics session is included in the workshop to learn how to build contact microphones and stereo omnidirectional hydrophones and microphones. It will teach how to build a contact microphone and a pair of binaural stereo microphones. Contact microphone: ideal for amplifying any string or percussion instrument, it also serves to capture resonances from contact with materials such as wood, metal, water, etc … These microphones can be used as hydrophones and listen to sounds below the Water. Binaural stereo microphones: ideal for capturing ambient sound, instruments or field recordings, concerts, lectures, interviews or conferences. The binaural microphones are ideal to start in the world of field recordings or simply improve the sound quality of various devices such as SLR cameras, portable recorders, etc. Students of Fine Arts, Musicians, Audiovisual Communication, Anthropology, Ethnography, Biology, Photography and any field of knowledge and creation that can use sound records in a broad term.